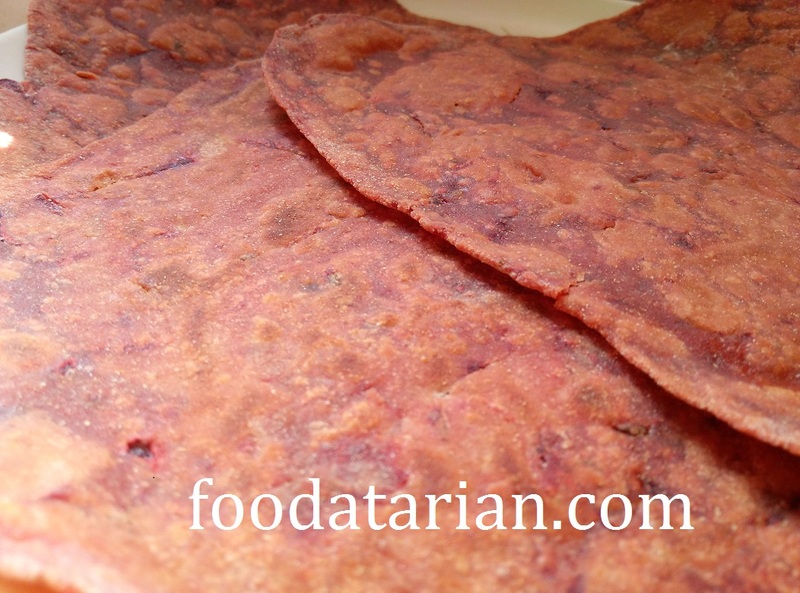 A friend suggested me to try making these beetroot parathas for kids. And when I made them my kids instantly liked them and named them Pink Paratha. So today this pink paratha (beetroot paratha) is a favorite dinner/breakfast in my household. They are healthy and nutritious. You can make them for breakfast or pack them in your kids lunch box. Oil/ghee for kneading and roasting. Heat 1 tsp of oil in a kadhai and add jeera to it. Let it splatter and then add heeng. Then add the grated beetroot. Mix it well and add all the spices. Cover and cook for 2 mintues while stirring in between. Remove it from the flame and let it cool down. Then add wheat flour, 1 tsp of oil and water as required to knead a dough just like the chapati dough. Then make small balls and roll out parathas. Roast them on tava/skillet. Apply some ghee on both the sides while roasting and serve with coconut chutney, tomato chutney or tomato ketchup.